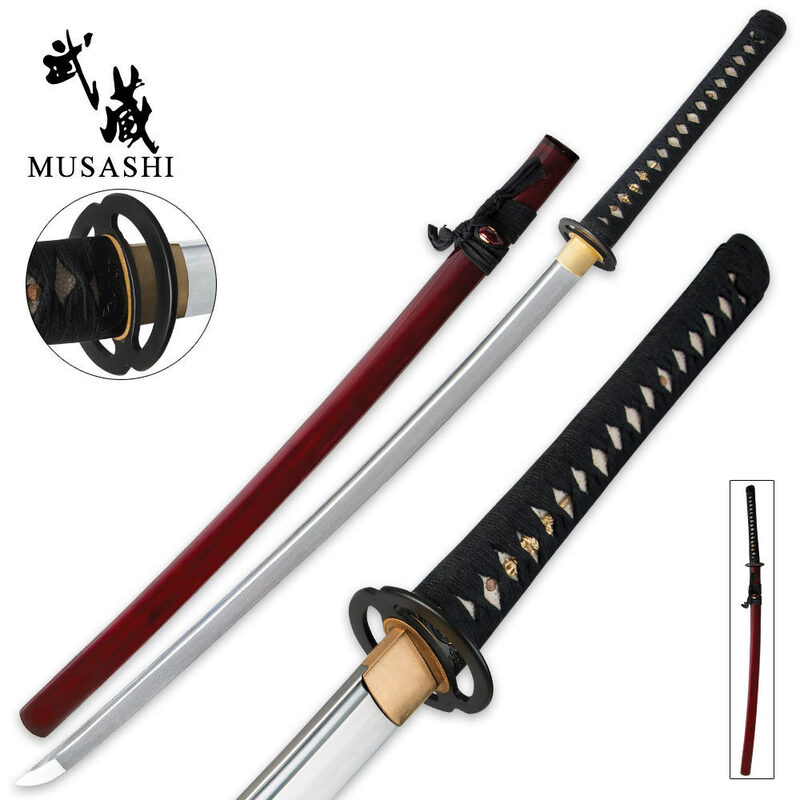 1060 Carbon Steel Musashi Miyamoto Katana Sword With Scabbard | BUDK.com - Knives & Swords At The Lowest Prices! 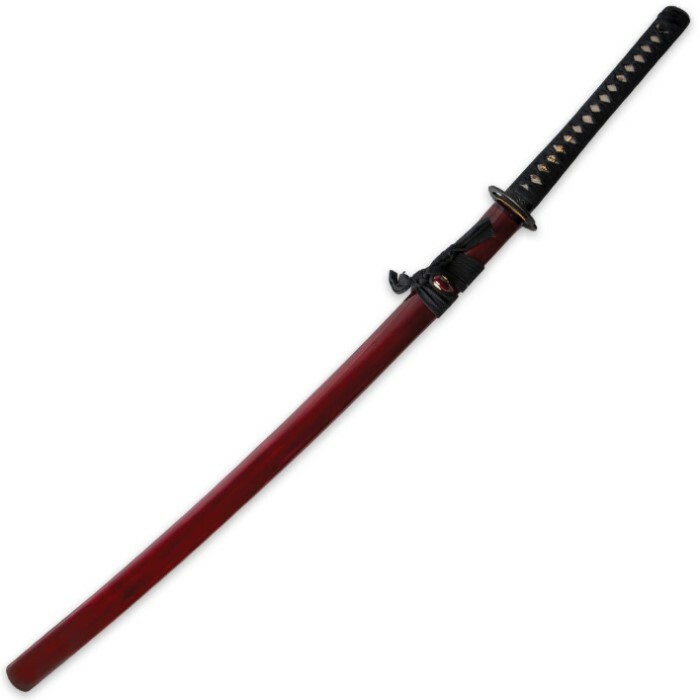 This hand-forged masterpiece is a must-have addition to your katana sword collection! The 1060 high carbon steel blade has been meticulously hand forged and sharpened using time-honored artisan techniques. The wooden handle is encased in genuine ray skin and then wrapped in decorative cords. Authentic embellishments including an antique-finished steel tsuba, menuki and pommel add even more style. A hand-painted hardwood scabbard houses the 27 1/2" blade.